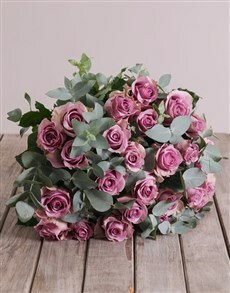 When you think about buying flowers for your spouse you it is most often ones wife that is thought of but here at NetFlorist we know that husbands are super important and that’s’ why we are firm believers in equal opportunity and feel that you can buy flowers for your husband from time to time. After all who says that women have the market for flowers? Flowers don’t have to be girly and pink or red, they can be manly and awesome too! In fact they can be anything you want them to be, you could send your husband a green plant like one of our single green plants in a ceramic pot or even get him a cacti that is almost infallible and hardy and that he will struggle to kill if he forgets to water it! These are both stylish and contemporary gifts that will look perfect on his desk at work or on the entry table by his keys. 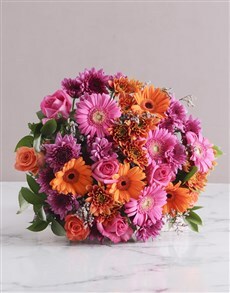 At netflorist you can buy flowers for husband online all year round and for any number of occasions, be it his birthday, your anniversary or just because you want to spoil him a little. You can send flowers for husband online like a bunch of sunflowers to brighten his day if he has had a hard time at work or you can send him red roses for Valentine’s Day to so him just how much you love him. Buying flowers for husbands online doesn’t have to be a mission where you spend hours standing around in your local florist for hours trying to choose the perfect flower bouquet. Nope all you have to do is log on to your favourite online florist, NetFlorist and take a gander at our goodies and choose flowers for your husband and we’ll do the rest, nationwide flower delivery included. So get shopping for those flowers for your husband now!